The limits for home equity loans are much lower than original mortgages. 2. How do I Calculate Tax Savings on Mortgage Interest? The chances of running up against the debt limit for the home mortgage interest deduction are slim because few people carry mortgage debt exceeding $1.1 million. However, the home equity debt limit is significantly lower -- $100,000 for most filers, but $50,000 each for spouses filing separate returns. Home equity debt includes any loan, or portion of a loan, that isn't used for buying or improving your home, but still uses your home as collateral. Whether you've done a cash-out refinance or taken out a home equity loan or line of credit, you might find yourself having to calculate the portion of your interest you can deduct because you're over the debt limit just because of your home equity loans. Figure your home equity debt for the year. Using the highest balance is always permissible, but you can use the average of your starting and ending balance instead if you didn't take out any new debt, didn't prepay more than one month's worth of principal and made at least semiannual, level payments. 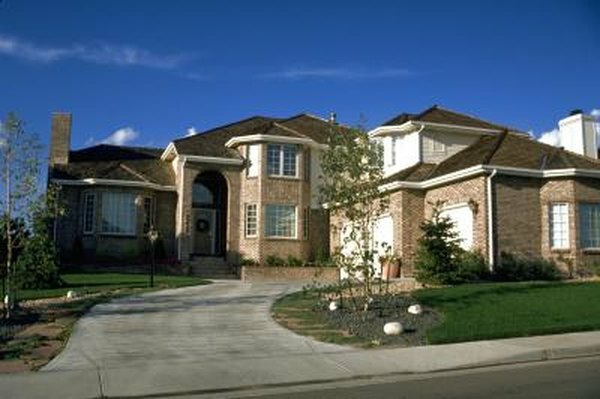 For example, if your home equity loan started at $410,000 and ended at $390,000, the average is $400,000. Divide the debt limit by your home equity debt to figure the portion of your interest you can deduct. In this example, assuming you're married filing jointly, since the home equity debt limit is $100,000, divide $100,000 by $400,000 to get 0.25. Multiply the deductible portion by the interest you paid to figure your home equity debt interest deduction limit. In this example, if you paid $32,000 in interest, multiply $32,000 by 0.25 to find you can deduct $8,000. You must itemize your deductions to write off home equity debt.